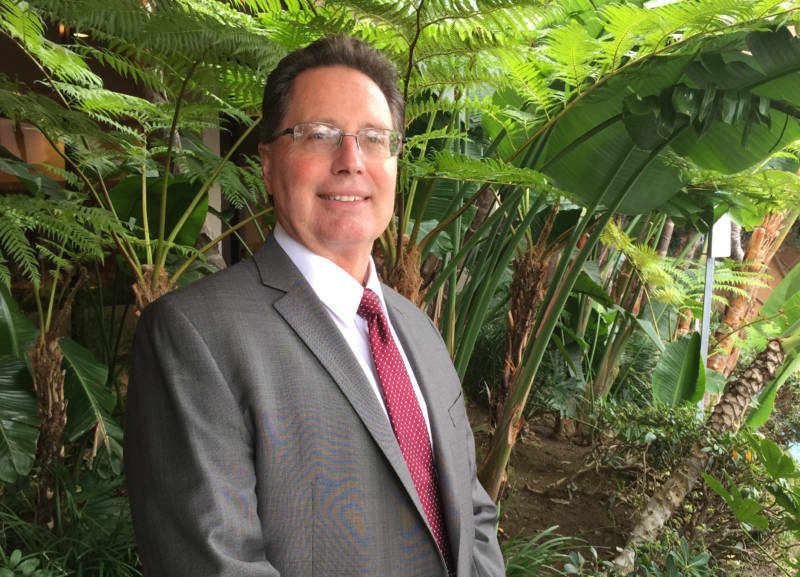 The new executive director of the California Coastal Commission, Jack Ainsworth, says his appointment demonstrates the Commission's commitment to coastal protection and that his recommendations to Commissioners will be based on science and facts. Ainsworth took the helm as executive director in February, after a tumultuous year in which environmental advocates accused the Commission of firing the previous director to please developers. KQED's Brian Watt talked with Ainsworth recently about his priorities, and how he plans to handle threats from the Trump administration to undo environmental protections. Here's a transcript of that conversation, edited for brevity. Watt: Let’s imagine you have a crystal ball. What do you want to see along California’s coast in fifty years, given the challenges of balancing development and protection? Ainsworth: One would be one continuous coastal trail along the entire state of California, and we’re working towards that goal right now. The other thing is I want to see is sandy beaches along our coastline. I want to see communities that are not affected by the rising seas we see from climate change. The rising sea levels over the next 50 to 100 years are going to be the biggest threat to California. So ensuring we are building and planning for resilient communities is really going to be a critical part of what we’re about going forward. We have an $18 billion coastal tourism and recreation economy in California and that is threatened. Watt: Well let’s talk about California and this new administration. President Trump has called climate change a “hoax.” He’s promised to cut regulations. Is the current atmosphere in Washington a threat to California’s coastline? Ainsworth: Absolutely. It is one of the most significant threats we’ve had in many, many years. 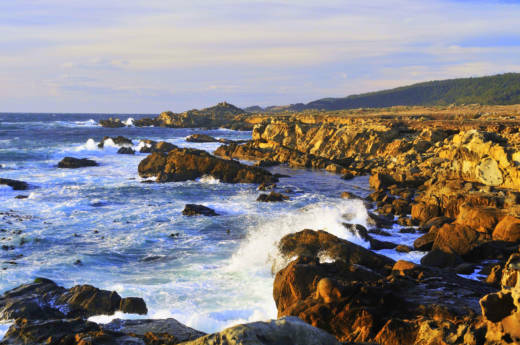 The administration is proposing significant cuts to NOAA’s budget, and the Commission receives 10 percent of its budget through coastal zone management grants to California, and if we lose that funding it will mean laying off staff. Watt: Are you worried about offshore drilling and a potential fight over that issue in this administration? Ainsworth: Yes, opening up of the federal oil and gas leases offshore is a significant concern for the Commission, as well as weakening what we call our “federal consistency authority” under the Coastal Zone Management Act. The Commission has the authority to review federal projects both in federal waters three miles offshore, and within our state waters and on land. So weakening that authority is a concern as well. Watt: You know that a lot of things that the Commission does, like protecting the coast from mega-development and keeping access in the public’s hands, can be very political. How tough are you now as executive director with Californians who might want to use their wealth to block beach access for the public? Ainsworth: This is a battle that we’ve had over the 40-year life of the Coastal Act on providing access to the shoreline. That is one of the primary mandates of the Coastal Act. And I can tell you, from my position as executive director, that is one of my highest priorities going forward -- is not only protecting it for the residents of those areas, but for all Californians and those Californians that may not have had access to the coast, particularly those in disadvantaged communities, and communities of color. Watt: How are you going to address that? Ainsworth: One of the ways of accessing the coast is the ability to stay overnight at the coast at an affordable accommodation. And so working to realize those types of low cost accommodations along the shoreline is one way of dealing with it. The other part of it is through our public education grants directed at underserved communities for trips to the beach, for marine and environmental education programs. There are many children within 20 miles from the coast that have never seen the coast. And that is a real tragedy. Watt: The Commission has had a pretty bumpy ride recently. The firing last year of the previous director, Charles Lester, angered a lot of people in the environmental community. What are you doing to heal any tensions or any lingering distrust right now? Ainsworth: It was upsetting, the loss of our executive director, to staff. We felt it could have represented an attack on the coastal program. But in the end, with my appointment -- I’ve been a long-time employee of the commission and I have the trust and confidence of staff -- I think that showed that the Commission was committed to this program moving forward and the protection of our coastal resources and public access. The important thing is, our recommendations from the staff going forward need to be based on the facts, sound science and the law. Watt: So the fight that could arise when a millionaire wants to essentially buy the beach, you’re ready? Ainsworth: Yes, I am. I’m ready. We’ve had battles over the years and we’ve proven that we will aggressively defend access to the coast, and that is my commitment to the people of the state of California.